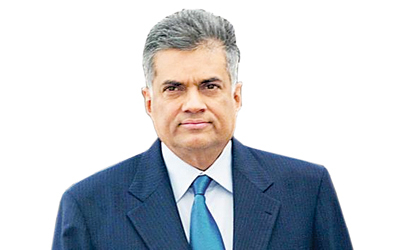 Prime Minister Ranil Wickremesinghe yesterday spelt out the key features of the domestic mechanism to be implemented following the UNHRC resolution on September 30. The Prime Minister said that Sri Lanka will co-sponsor the resolution along with the US, and Sri Lanka too will own this resolution. He said the government did not want any divisions and hoped that all the members of the UNHRC would support it. It will be a consensus resolution,” he added. Further elaborating on the domestic process, he said three main offices will be set up namely the Missing Persons Office, Special Counsel’s office and the Truth Commission. Prime Minister Wickremesinghe said the Missing Persons Office would be a permanent one dealing with relevant complaints. The Special Counsel’s office, according to the Prime Minister, will be Sri Lankan and it will decide on the investigations and the cases that should go directly to the judiciary or to the Truth Commission. He was optimistic that many cases will end up in the Truth Commission and the Compassionate Council. Foreign prosecutors may join according to the situation that would arise from time to time. We have spoken to the US about the formation of the judicial mechanism and it is up to Sri Lanka to formulate new laws,” he added. The Special Counsel may, from time to time, obtain the assistance of international lawyers for the smooth functioning of the office. In Sri Lanka we have only a few capable officers to handle this kind of work. I have already spoken to the Bar Association of Sri Lanka on this matter,” the Prime Minister said. President Mahinda Rajapaksa brought in foreign counsels to assist the Paranagama Commission. They sat along with the judges of the commission,” the Prime Minister said adding that new laws of will be formulated under article 13 (6) proviso 01 of the present constitution. Raising the history of the Sri Lanka-UNHRC relationship, the Prime Minister said that everything stems from the 2009 agreement reached by the Sri Lankan government and the United Nations. The election victory on January 08, he said, was a watershed in Sri Lanka’s political history and the government had been able to push the UNHRC report form March to September. If not for the election victory the country would have faced a multitude of problems, including economic sanctions,” the Prime Minister said. Emphasising the need to have political stability, he said by September the government formulated a new set of proposals on accountability and reconciliation. The Prime Minister said although former President Mahinda Rajapaksa and South African President Jacob Zuma had discussions nothing concrete came about to address the issues of reconciliation. We have no intention of making military or other members of the security members sacrificial lambs. We have in fact saved the Rajapaksas from the electric chair,” he added. The Prime Minister also hinted that the Right to Information Act and the Audit Bill would be presented to Parliament shortly after Cabinet approval as part of building democratic institutions to strengthen democracy. Minister Rajitha Senaratne said there has to be a discussion on the composition of the judiciary. The resolution specifically stresses the participation of foreign and commonwealth judges. Defining the term participation he said that the judges are likely to be observers of the process. In the past, Politicians have ruined our prospects in resolving these matters due to their parochial political agendas. The media too is responsible for this situation,” the minister said. Senaratne also criticised Prof. G.L.Pieris and Dr. Dayan Jayatilleka and said that they should come to terms with their own admissions in the past.